Pentax Japan has confirmed that its factory has launched an urgent investigation into a report that u2018foreign matteru2019 has led to u2018dirtyu2019 imaging sensors on its K-5 DSLR. Pentax Japan has confirmed that its factory has launched an urgent investigation into a report that ?foreign matter? has led to ?dirty? 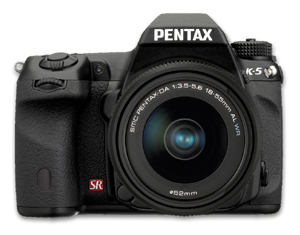 imaging sensors on its K-5 DSLR. Amateur Photographer was contacted by a photographer from Norwich who said he is worried having bought a K-5 earlier this month. He said he believes that ?foreign matter’ lies under the AA filter and ?cannot be cleaned off?. In response a spokesman for the factory told us: ?A report concerning contamination on a K-5 sensor has been brought to our attention. ?We are investigating this as a matter of urgency. ?